Truly representing world music, the members of Ajoyo herald from across the globe: Tunisia, France, Germany, and Israel. Originally the idea of French Tunisian saxophone player Yacine Boularès, the band’s debut album Ajoyo was funded through Indiegogo and is now available through Ropeadope. Boularès, though born in Tunisia, grew up in Paris and has composed and arranged music for musicians as diverse as Fela Kuti, drummer Jojo Kuo, Tabou Cambo, and Placido Domingo. 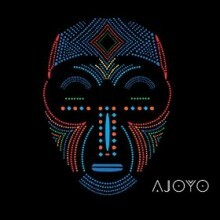 Ajoyo reflects Boularès’ desire to mix the styles and instruments of Africa with those of the West. The result is an album that transcends the talented musicians and their technical skills to emulate pure joy and passion. The first track, “Jekoro,” is full of energy, mixing African-influenced percussion and background vocals with horns and the smooth and powerful vocals of Sarah Elizabeth Charles. Singing “Nobody cares about tomorrow, no more fears or sorrow,” the lyrics implore you to be free and live life to the fullest. A short keyboard solo adds another dimension to the song, as it sounds more like an electronic synthesizer and further adds to the uniqueness of Ajoyo. The song “Chocot’” is another lively track that exemplifies Boularès’ aim for the album: “play for dancers, put the groove first, connect with the heart.” This instrumental jam starts with the rocking guitar and keyboard of German pianist Can Olgun. It is certainly a song that inspires dancing, as seen in the live performance below. Showcasing the polished jazz skills of Ajoyo, it features solos by Boularès on soprano saxophone and New Orleans trumpet player Linton Smith. “Idanwo” is a slower track that starts simply with vocals by Charles and guitar picking by Isreali musician Alon Albagli. Albagli shines on this song, with an extended soft rock solo, which adds a bit of an edge to the previously chill song. The shifting of tempos and moods is effortless and beautiful. Charles adds to this with her passionate vocal runs near the end, as do the vivacious horns (Smith on trumpet and Boularès on baritone sax) that end the track. Ajoyo proves that beyond their high energy and talent, they can (and do) create moving music. “Benskin” is particularly powerful. Based on a Cameroonian dance rhythm, the lyrics address social injustice: “I long for the day / my color, my kind / my gender, my race / won’t trouble your mind.” The way the song ebbs and flows emphasizes these words, and though accompanied by full instrumentation, it concludes with just the bongos and Charles repeating those lyrics. Ajoyo takes musicians and influences from across the globe and creates a jazz fusion album that leaves behind technical worries and embraces life and love fully. This is not to say that musicianship is thrown aside—in fact, these musicians prove themselves to be the best track after track. 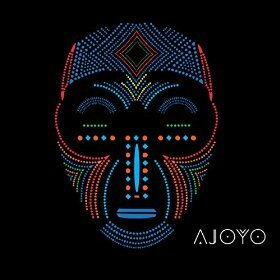 Ajoyo’s debut is full of energy and promise, and will hopefully allow them to make music for years to come.